Gardener’s first trolley sale for 2018 will be Wednesday 7 February. Friends’ Shop re-opens Monday 8 January. From 8 Jan to 5 Feb 2018, the Shop will open mornings only. Guided walks: Walks will recommence on Monday 26 February 2018. Flecker Gardens, including Watkins Munro Martin Conservatory, open every day from 7.30am to 5.30pm (subject to weather conditions). All other garden areas are open around the clock. Visitor Centre open 8:30am to 4pm weekdays, 8:30am to 1pm weekends and public holidays, closed Christmas Day. Dogs are not allowed in any part of the Cairns Botanic Gardens. No dogs allowed at Flecker Gardens. Collins Avenue, Edge Hill. 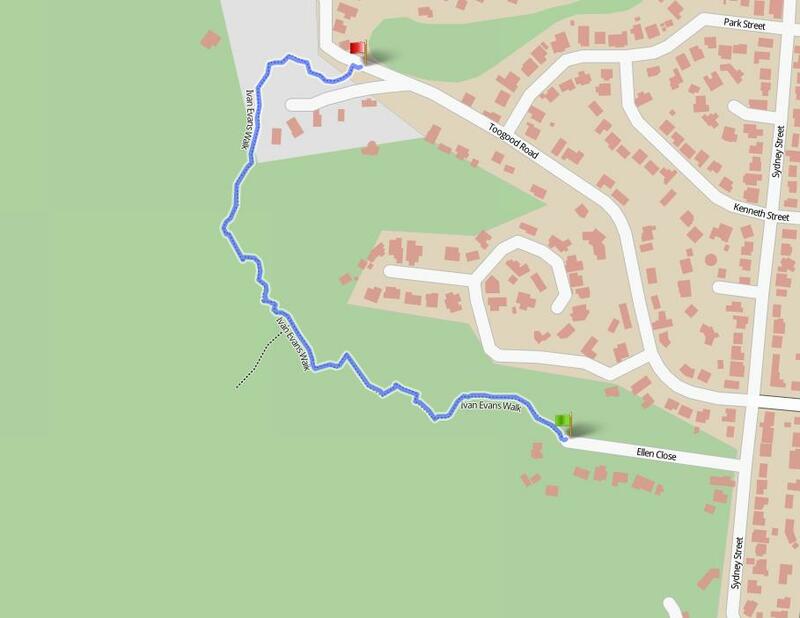 The Freshwater and Saltwater Lakes can be easily accessed from Greenslopes Street. On-street parking available along Collins Avenue and Greenslopes Street. Sunbus stops on Collins Avenue directly outside Flecker Gardens. 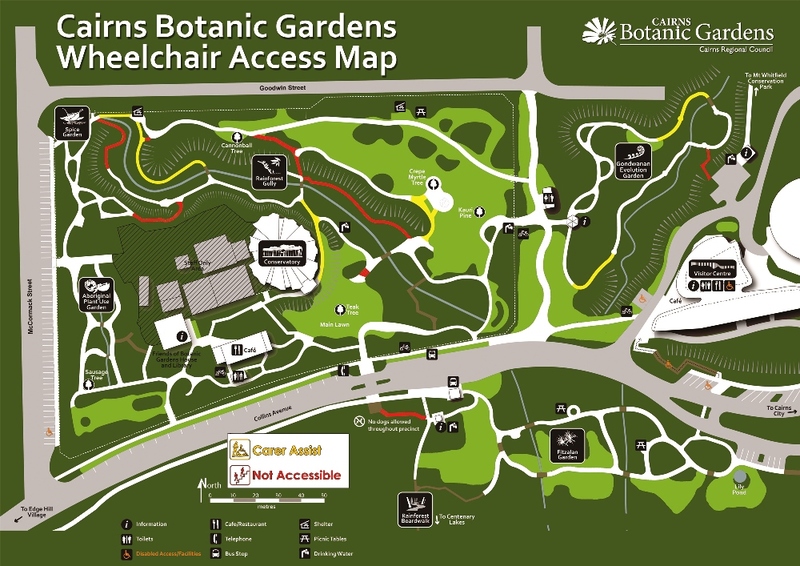 Wheelchair / pram access: some paths in Flecker Garden are not suitable for wheelchairs and prams. The remainder of the gardens, including Centenary Lakes, is fully accessible. Download the accessibility map ( PDF, 3.57 MB ) or view the accessibility map on-screen ( JPG, 0.94 MB ) to identify areas where carer assist is required and areas that are not accessible.